There is new enthusiasm for aging at home. But as grocery shopping, cooking, changing the sheets and other household chores become unmanageable, or if you worry about your safety getting in and out of the shower and moving about your home because of balance, vision or hearing problems, you begin to wonder if staying in the comfort of your home is the wisest choice. 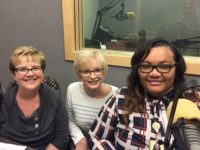 On this program, Julia Houck and Tasha Robinson discuss Agrace’s decision to move beyond Hospice and Palliative Care to provide non-medical home care in Dane County for those needing help to be able to live independently at home. They will share guidelines on what help is available that makes aging at home a viable and positive option. More information is available at ageathome.org.